Last year we grew Swiss chard, cabbage, beets and strawberries in the heavily shaded area. Most of the cabbage ended up bolting because the weather was too warm. 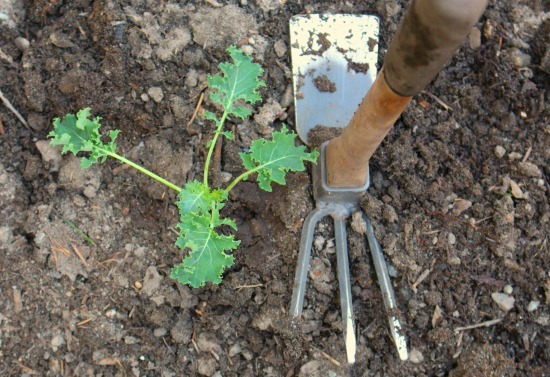 So this time around I decided to just plant some Swiss chard and a few kale plants in the area. The Girl LOVES to add Swiss chard and kale in her smoothies and sometimes I’ll chop up the veg really fine and sneak it into our stir fry dinners. But beyond that… the leafy greens usually end up being chicken feed for Mrs. HB’s flock. Which works out for all of us. Check out the French breakfast radishes we harvested yesterday! Aren’t they beautiful? Thinly sliced radishes on toasted bread with a little cream cheese. The perfect afternoon snack if you ask me. 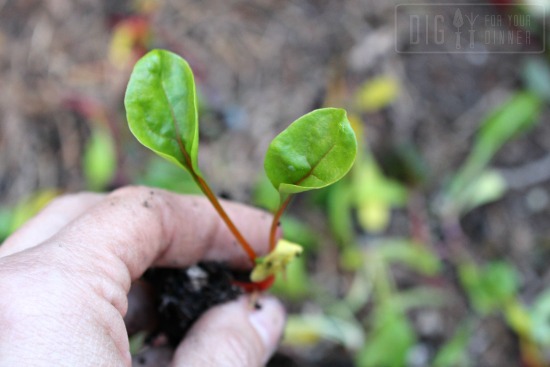 I love to cut up Swiss chard into my salads. I had grown it before as an ornamental but had never eaten it until last summer. Now I grow a lot of it and eat a lot of it. It’s so easy to grow but mine never seems to get as big as others I’ve seen. 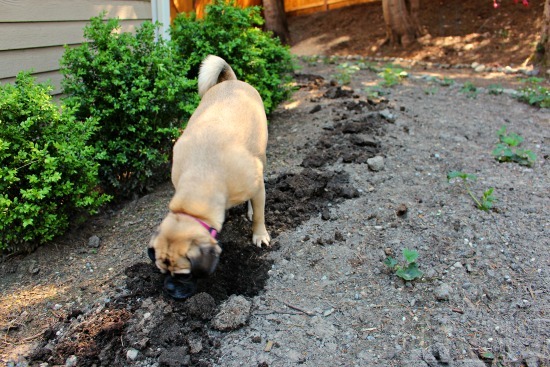 I guess my soil is not amended as well as it should be but I am working on that. 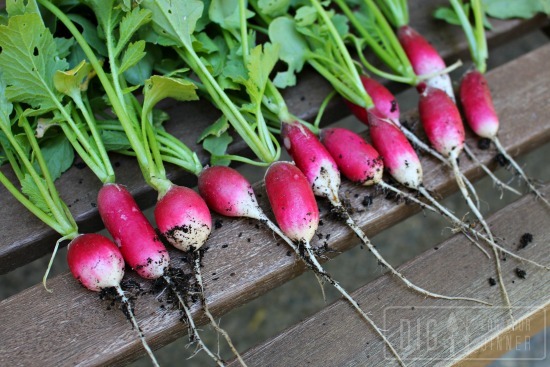 French breakfast is one of our favorite radishes (or any plant) to grow. Yum yum yum. Have you ever gotten a purple one? We find one or two purple french breakfast radishes in each row we plant, and they are so so spicy! 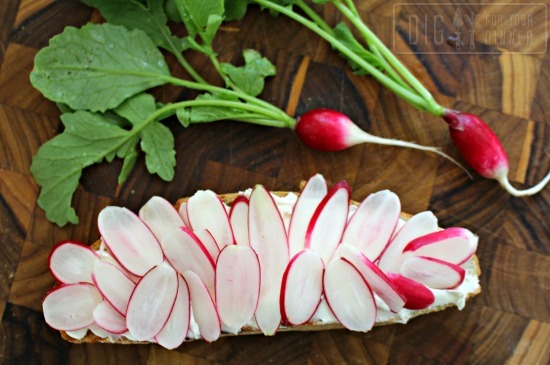 When we finally get our radishes planted, I’m going to try this toast for sure. Thanks for the idea.